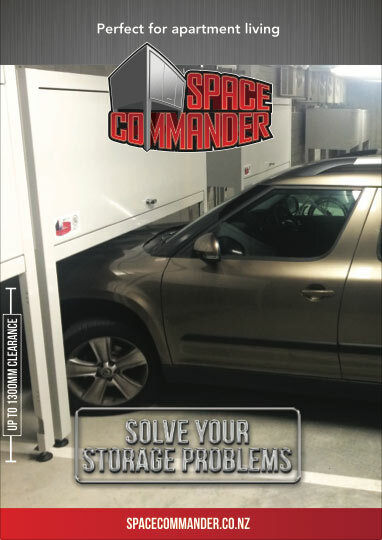 Space Commander™ is the perfect storage solution for new and existing multi-dwelling residences. 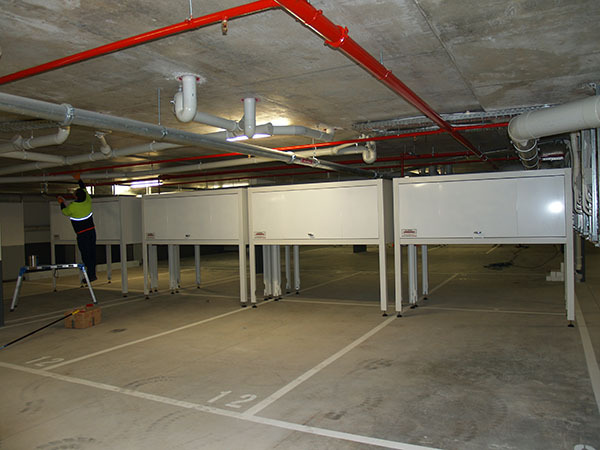 We have extensive experience in working with Australia and New Zealand construction companies, building managers, builders, architects, specifiers, property developers, strata managers and body corporates to meet residential storage requirements within planning and building code – all in a cost effective manner. 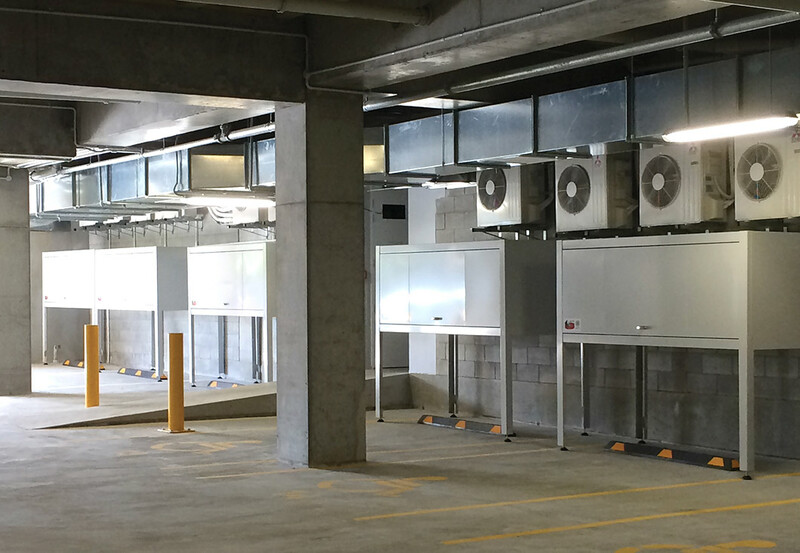 We have many examples of completed projects in New Zealand. 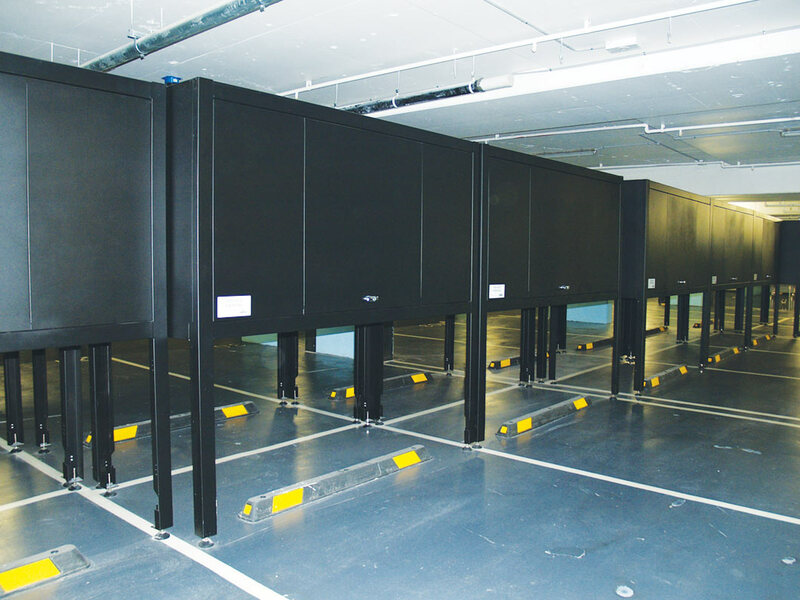 Space Commander™ has completed many large installation projects for major New Zealand and Australia property developers and construction companies. 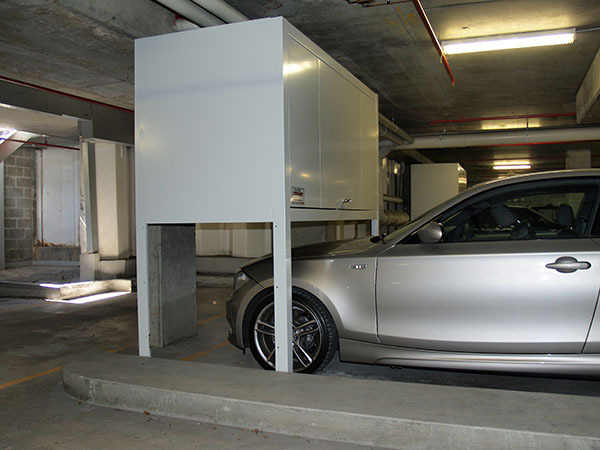 For a premium residential apartment complex, we supplied and installed 70 Over Bonnet storage units in the architect’s speci ed colour of powder-coated matte black. 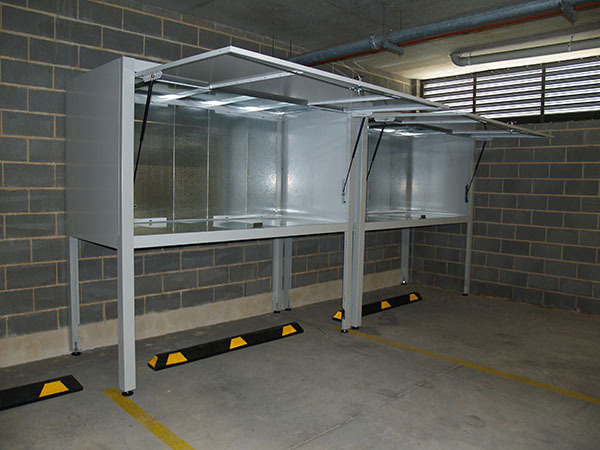 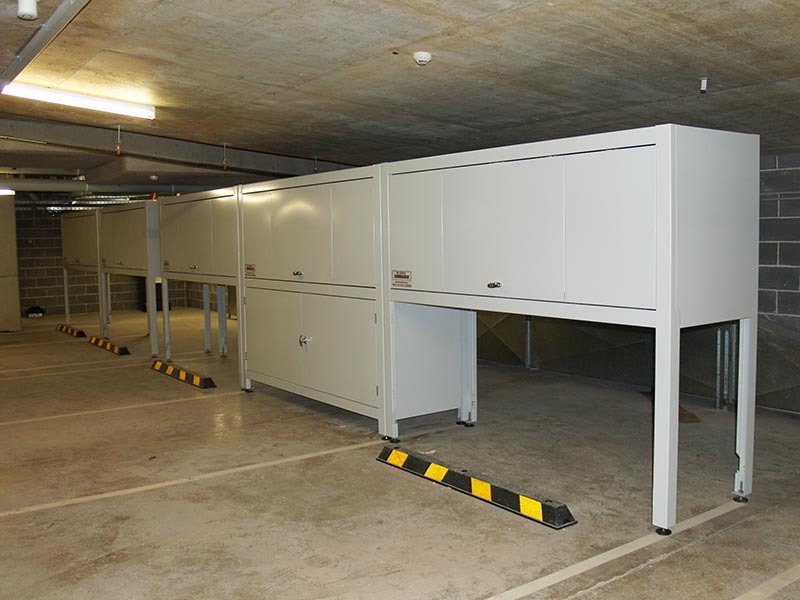 The result was fantastic – a very striking look in the carpark and optimal storage. 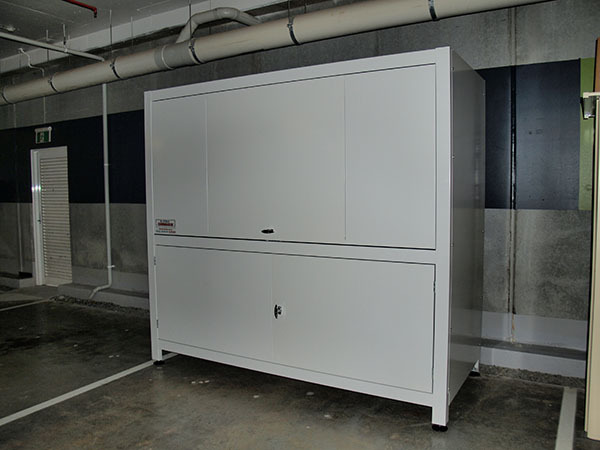 Learn about this 27 storage unit installation project for an apartment complex.